This is a translation of the Talmud tractate Sanhedrin, which deals with judicial procedure, particularly relating to capital punishment. 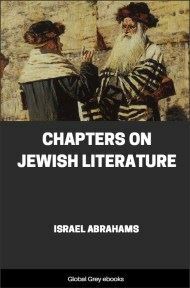 The author is a Christian academic, and the translation includes the primary text (Mishna) and the second-level commentary (Tosefta). SANHEDRIN is the title given to the fourth tract in the fourth of the six orders or series which make up the Mishnah. This order, called nezikin, "damages" (or, in the Tosefta, yeshu‘oth, "redemptions"), deals more or less directly with the various branches of Jewish jurisprudence; and Sanhedrin, as its name implies, treats of the higher legislative courts, their constitution, authority, and method of procedure. 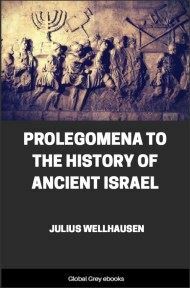 The Mishnah and Tosefta, which are here translated, may be regarded as together giving the bulk of the traditions on the subject in the form in which they existed at the close of the second century A.D. The Mishnah gives an ordered, comprehensive sketch of the regulations which governed the legal courts; while the Tosefta goes over similar ground in a freer manner, frequently repeating, occasionally contradicting, and constantly supplementing--not always relevantly--the substance of the more authoritative and final code. 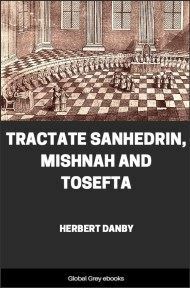 The Tosefta must not, however, be regarded as a later addition to the existing Mishnah; its similarities and differences lend themselves rather to a hypothesis which would see in the Tosefta a supplement to an earlier form of the Mishnah than is now in our possession. characteristically the Mishnah wanders away from the main point in treating of the king, and gives us a verse by verse commentary on Deut. xvii. 16 ff. The real subject of the tract is now entered upon. The qualities and disabilities which make a man eligible or ineligible to act as a judge or witness are stated, as well as the rights the two parties to a suit have in the selection of their judges. We are then told the method of conducting trials in non-capital cases, and a comparison with the details peculiar to the management of capital cases serves to emphasize the importance and seriousness of the latter. The method of carrying out the four death penalties is next discussed in the order of their relative severity: stoning, burning, decapitation, and strangulation. This again is followed by a catalogue, in four corresponding divisions, of the criminals who are respectively liable to these capital punishments. The Tosefta, while preserving this same outline of the subject, allows itself a much greater licence in the way of digressions and minute detail. Thus, we are treated to lengthy excursuses on the principles of arbitration and the intercalation of leap-years; by an odd train of thought we are led away from the subject of the Sanhedrin and structural alterations in Jerusalem, to some verbal gymnastics on Deut. xiv. 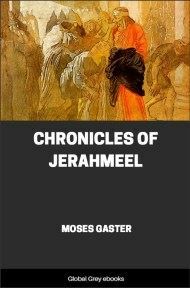 23; while the Mishnah's digression on the king develops in the Tosefta into a discussion on the script of Ezra's Book of the Law. In the matter of the court's procedure we are granted the amplest details, though here it becomes more and more clear that we are getting fewer traditions of the older historic Sanhedrin, and more of its academic survival at Jabne or Usha. When we come to the section treating of the four capital punishments, the Tosefta's contributions become scanty: on many points it is silent, while on a few others it only repeats the Mishnah with a few unimportant variations. Between the account of the murderer and the men of "a beguiled city"--the two types of criminal who are to suffer death by decapitation--two sections are inserted: a brief one (not in Tosefta) giving a list of cases when it is permissible for men to take the law into their own hands; and a longer one (expanded to a great length in Tosefta) treating in a freer, more edifying or "haggadic" fashion the subject, "Those who have no share in the world to come." The general interest of the tract is evident since trials before the Jewish authorities form a prominent feature of the Gospels and Acts of the Apostles. 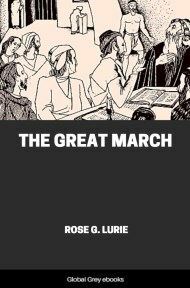 More particularly the justice and regularity of our Lord's trial and condemnation have long been called in question, and a voluminous literature has grown round the subject. We have the New Testament accounts of the procedure adopted by the Jews in their examination and condemnation of Jesus; and, since we also possess a detailed code, drawn up by the Jews themselves, purporting to embody the regulations governing such a trial, it should be open to all to make the comparison and arrive at a conclusion.